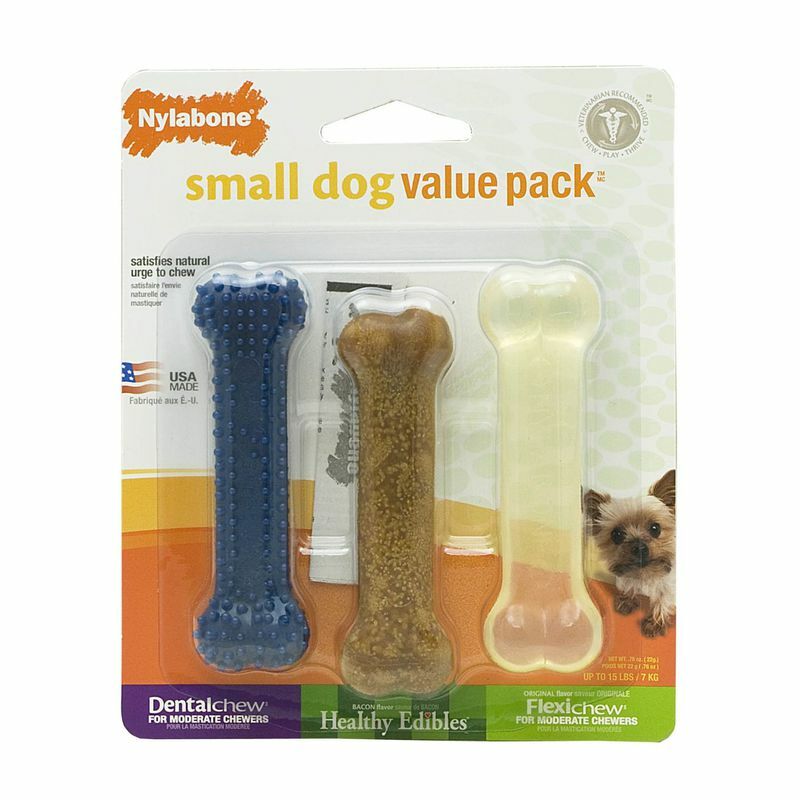 This Nylabone value pack includes one Dental Chew Bone, one Healthy Edibles Chew, and one FlexiChew Bone. Made for moderate chewers, the Dental Chew Bone has gently rounded dental nubs that promote clean teeth while your dog chews. The bristles raised during chewing help control plaque and tartar buildup. Veterinarian-recommended Healthy Edibles Chews are highly digestible, long-lasting snacks with natural ingredients and added vitamins and minerals. They contain no added salt or sugar or artificial preservatives. 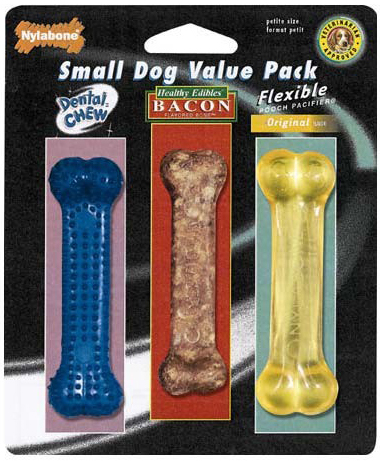 FlexiChew chew toys are made from softer material for moderate chewers. The bristles raised during chewing promote clean teeth and help control plaque and tartar buildup. Value pack not recommended for strong chewers. 6.5" x 5.5" x 1"